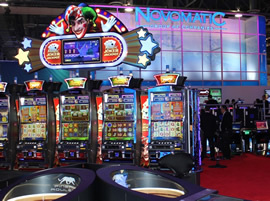 Novomatic, through its subsidiary Novo Lottery Solutions GmbH, has acquired a 90 per cent majority shareholding in Icelandic gaming and lottery specialist Betware. Betware management retains ownership of the remaining 10 per cent. Stefan Hrafnkelsson, Betware CEO, said: “We are confident that this transaction will create new value in the lottery market, linking together the strength of Novomatic with Betware’s innovative lottery solutions. Thomas Graf, CTO of Novomatic, added: "Our acquisition of Betware has been a logical step to further enhancing our competency in electronic and video lottery technologies. Betware's open platform architecture is second to none, providing tailor-made solutions to any small or large scale lottery operation.